Disney Princesses caused sexuality-related struggles claims Cara Delevingne. Model and actor Cara Delevingne is opening up about her sexuality and has some harsh words for the stereotypical world of Disney princesses. Despite the beauties like Ariel, Jasmine, Belle, and the rest being a big influence on the childhood of many, Delevingne thinks that Hollywood needs to change its take on Disney princesses. The world has witnessed 82 years of pretty princesses and their perilous adventures ever since the Snow White and the Seven Dwarves in 1937. Even if the most recent addition is Brave‘s Merida, there is often a presence of loyal fanbase for the ‘unofficial’ princesses like Esmerelda, Megara, and Moana, who are yet to enter the mainstream of Disney princesses. Delevingne discussed her sexual fluidity speaking to RuPaul Charles on the What’s the Tee? With Michelle Visage podcast that made its way to the public via Vogue. Moreover, she also confessed about her lack of closeness to siblings. Visage contributed to the intriguing conversation adding that an evolving Disney “could make a big difference in this world” by making a drastic shift in the stereotypes. Delevingne agreeably expressed that she tries to teach her young cousins about gender fluidity. Although the Disney princesses always seek the prince charming to release them from their set of circumstances, recent princesses of the fantasy world are strong role models. Ranging from the brilliant mind of Beauty and the Beast‘s Belle to the fiery temperament of Brave‘s Merida, Jasmine’ no-nonsense stance when it comes to listening to her father in Aladdin and the female powerhouse that was Frozen. 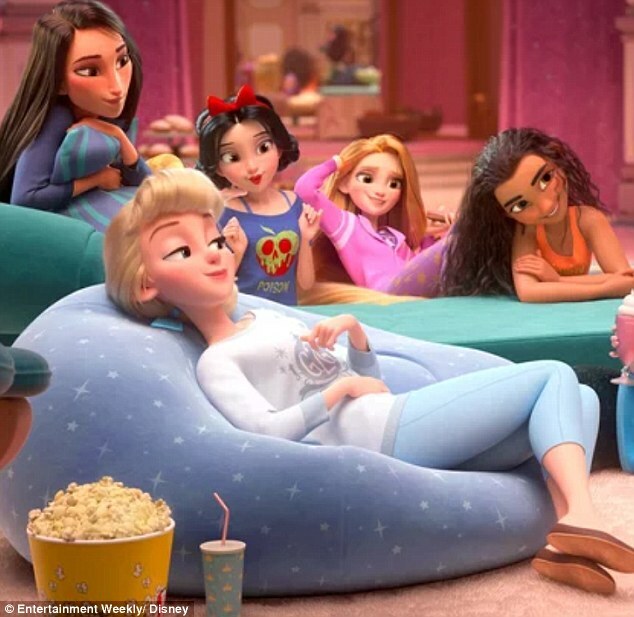 However, with the second rendition of the widely acclaimed Frozen movie rumored to enrich Elsa's life with a girlfriend, the movie platform is set to steer into a more LGBTQ+ friendly pathway.